– All we ask is that you make a diligent effort for the full treatment period of the products according to product instructions, and it does not do what we say it will; we will refund your purchase price (up to $200) of the product less shipping. Only Complete Treatment Kits are eligible for refund. You must purchase all products recommended in order for the treatment to be guaranteed. Note: Not all Q-Based Solutions items are refundable. – Our Guarantee is contingent on you calling to speak to one of our Customer Service Representatives if you are not experiencing promised results within the first 7 days of treatment so that we can customize a regimen for you. If this step is not followed the products will not be eligible for Return. – All individual items purchased that are not in a Complete Treatment Kit are guaranteed against manufacturer defect only and are not eligible for refund or return. – Skin Parasite Treatment Kits are not eligible for return as there is no known cure for this ailment recognized by the CDC. – Our Pain Management Tri-Relief has a full 360-Day Guarantee. – Psoriasil is not eligible for refund until the full 90-day treatment has been completed. 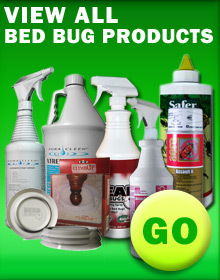 – Products that are not direct lines of Q-Based Solutions (PetsBestRx, DeadBedBugs, AllStop and PuraCleenRx) must be handled through the direct manufacturer and are not eligible for refund from Q-Based Solutions. – We are not responsible for allergic reactions. Our product ingredients are listed online and allergic reactions are not eligible for refund. – Refunds will not be given to any one customer for one specific product more than once. There is an unlimited amount of orders a customer can place with us; however our money back guarantee is void after a customer has used it for one specific product more than once. For instance if a customer buys two of one product, uses both and wants to return both products, the customer will be issued a credit for one product less shipping when the return policy is met. Products purchased in a retail store or by institutions (doctors, nursing homes, hospitals, breeders, rescue shelters, etc.) are not guaranteed and do not qualify for a refund. NOTE: Refunds sent with no RMA number on the outside of the package and/or are not authorized and will be returned to sender. If you have purchased the wrong product or found out you or your doctor mis-diagnosed your condition and we have the correct treatment products for your ailment, you may exchange the unopened container (product) by receiving authorization to return the product after speaking to a Customer Service Representative. Once authorized write the RMA number on the outside of the package, enclose the invoice, and return within 30 days of the date of purchase. The package must be received un-damaged and in re-sellable condition. You must pay for return shipping, and we will gladly send out the correct product once the original product is received. If you have opened the product, no exchange will be permitted. – If ordered product(s) are refused upon delivery, the returned products will be subject to a 20% restocking fee and shipping and handling fees will not be credited. – Every effort will be made to accommodate the cancellation of your order provided your order has not been shipped out. In the event that a cancellation was submitted, and your order has shipped we will refund the merchandise total less shipping once the return has been received back at our facility. We are not responsible for mis-use of our products. Our products must be used according to label and regimen instructions. We are not responsible for injury or reactions occurred due to mis-use of products.